Transformation of the Day: Chrissy lost 39 pounds. She was tired of girdles, hiding her rolls and the ups and downs of the weight loss roller-coaster. 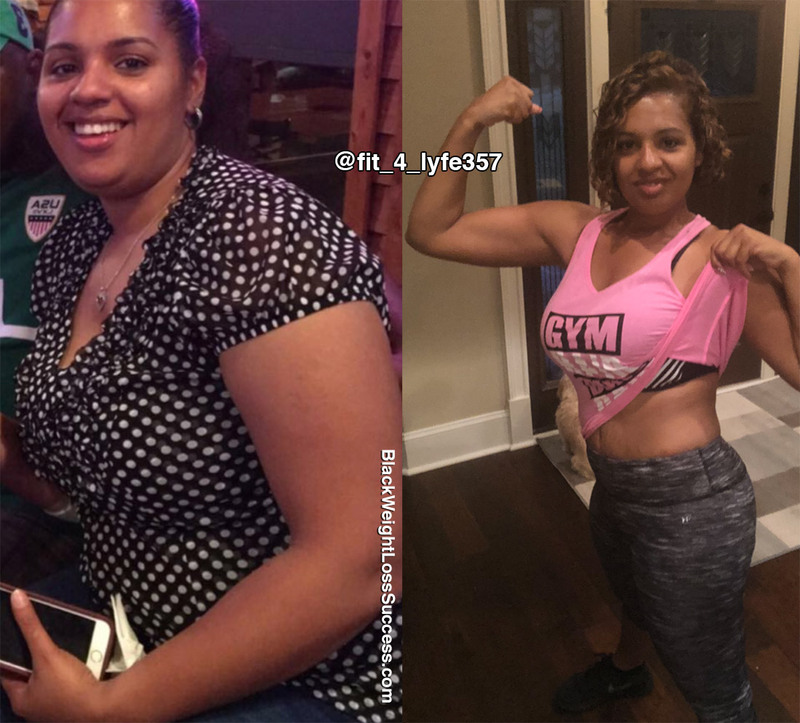 By using portion control and working out consistently, she was able to release the weight and keep it off. She is happy to say that she still eats Carbs. Check out her story. My motivation to start my weight loss journey came when I was tired of wearing girdles and wrapping my stomach to “hide” my rolls. I also wanted to bring some pain relief to my aching knees and joints. I was tired of the yo-yo and fad diets as well. It came to a point where I said enough is enough. It was time to jump off this weight loss roller-coaster. My inspiration came when my daughter told me she was proud of me…. ME… and how dedicated I am to MY journey. I changed my eating habits just by learning what the right proportions of foods that I needed to fuel my body during this journey. I never cut out any major food groups. I still eat CARBS. I still eat cake, cookies, and sweets. Just not as much as I used to! While I lost the weight and kept it off over the last year, I have done 30-40 minute workouts daily. I started at 196 pounds, and now I’m down to 157 pounds. I am 5’7”. The biggest lesson I’ve learned is that is journey takes t. We didn’t gain our weight in 10 days, so it is not realistic to try and lose it all in 10 days. When you work hard and take time to lose the weight correctly, it is more likely to STAY OFF! My advice for others who want to lose weight is simply “Start NOW!” Stop saying, “I’ll start after the New Year.”, “I’ll start after Valentine’s Day.”, “I’ll start after Easter.”, “I’ll start after my Birthday.”, etc. Life is always going to get in the way. If you keep waiting, it will NEVER happen. Don’t give up on yourself and don’t “beat yourself up” if you have a slip-up. Just pick up where you left off and keep on trucking!